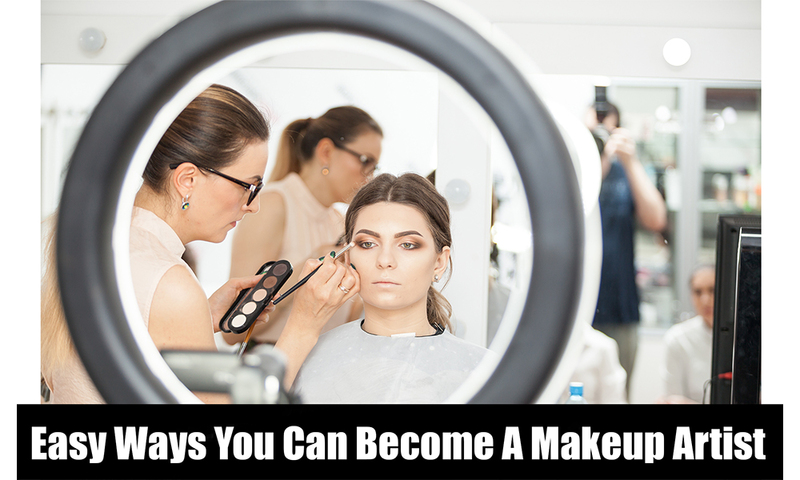 A lot of ladies out there dream of becoming a makeup artist, but worries arise the moment they realize that they don’t know how to approach their goal. It’s a lot of work to get to where you want to be. However, you have to instill in your mind that before any sweet success, it’s normal to stumble upon obstacles. You also have to note that there is no perfect formula to become successful. The least you can do is to try before even giving up on your possible career. Want to know more? Keep reading this article. Dodge your laziness and doubts by pushing yourself to lift a brush. Practice means you’re allowed to create mistakes because this is exactly how you learn. Nothing is perfect but practicing will make you better at what you do. It’s all about mastery and getting used to. There’s always something new to grasp because even the master of all makeup make it a point to practice their artistry skills. Everyone needs to sharpen their talent to improve. Practicing also allows you to evaluate the things you should do and don’t as a makeup artist. This constant phase opens your eyes and prepares you for more complicated situations. Think of everyday as an opportunity to discover new abilities and ways how you can boost your craftsmanship. Portfolios don’t necessarily start with professional models if you don’t have the resources yet. You may offer to do your friends and families’ makeup in exchange of high-quality photos. You don’t even need a professional camera for this. A lot of makeup artists take photos of their masterpiece using their phone. Just consider some things like lighting, angle, and focus. Once you start getting the hang of constantly updating your portfolio, you will be able to see your progress. You will catch sight of how you first started and how you’re gradually improving your work. Bringing your portfolio up to date may take you your whole career but that’s the fun in it. You will always have space for newer content, which you can showcase to your clients as trends come and go. Nowadays, countless people rely on social media to keep up with the fads. Without social media, we are all probably going to be outdated since this has become a worldwide means of communication. It has been made to be user-friendly so anyone can actually sign up for an account and start sharing something through content. However, it doesn’t mean that because it’s accessible to everyone, it’s easy to get your name out there. It takes time and it takes the right strategies. We offer programs that incorporate an important lecture on business, branding, and marketing (Master Makeup Program & Extensive 5-Week Makeup Program). These programs are vital in establishing yourself as a successful makeup artist. In this industry, it is vital to network because this is a significant way of getting you more clients. This is also how you learn further since fellow makeup artists usually share their secrets for each others’ success. It is also a lot of fun to create good relationship with others who share the same passion with you because you are reminded of why you love the career you are tackling. This does not only apply to clients and fellow makeup artists but also to photographers, assistants, models, and other talented individuals you may be working with. Look no further because Nina Mua is here to help you advance in your chosen career. It is not a necessary step, but it is recommended. You will be surprised to know that there are actually millions of other techniques you are not aware of the in world of makeup. But if you are in the process of just testing out this path, there are programs that are geared towards your goal. One of them is our Intensive 4-Week Makeup Program. Another positive thing about attending a makeup school is obtaining a diploma. This is an affirmative way of presenting yourself to future clients and employers as many of them look for makeup artists who have had proper training. This way, you get to boost your career as you help yourself achieve your dream. Believe, and one day, you are going to make it!